Whoa, another steamy day with a high of 102 degrees again. I didn’t mind being stuck in an air conditioned office all day. 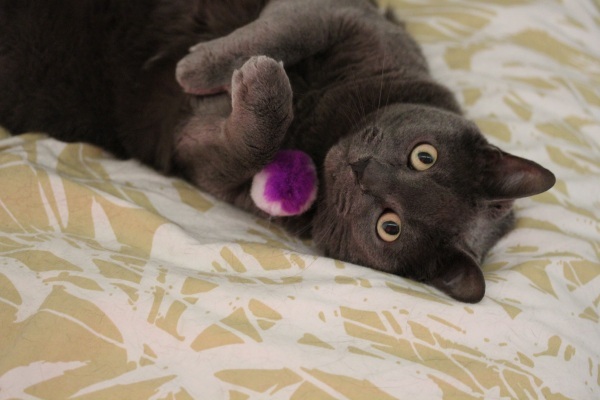 And Smokey didn’t mind lounging in the air conditioned house all day snoozing on our bed with her toys. We need to trade, think I’ll send her to work tomorrow. 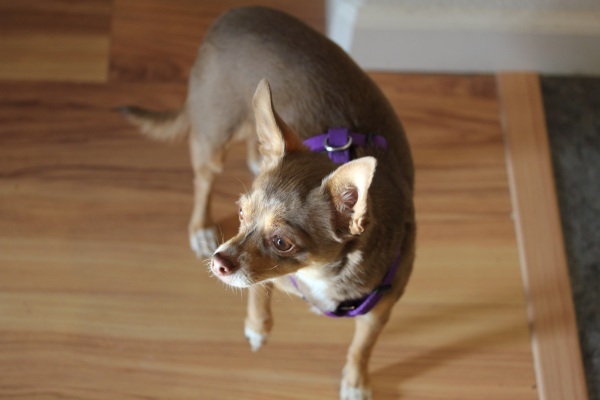 And Leela just isn’t thrilled about getting baked in the backyard and looks at the yard, then me like I’m nuts when I try to push her out to do her business. But the hot weather isn’t getting to me yet, at least not like a co-worker who’s car AC died today. Poor guy arrived to the office drenched in sweat and smelling a little ripe. For me the weather is a great opportunity to enjoy all the cold and fresh fruit and veggies I can handle, like a bag of organic oranges I scored for free from a co-worker’s tree today and I’ll probably be peeling and freezing most of them for smoothies. 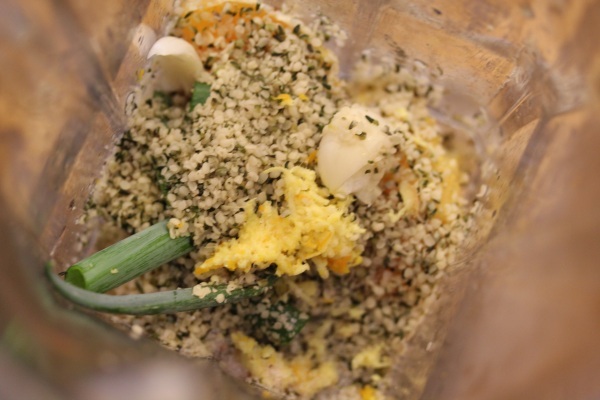 But I had to use one to create a dressing that sings summer to me, orange and ginger with a garlic kick and creamy hemp protein. 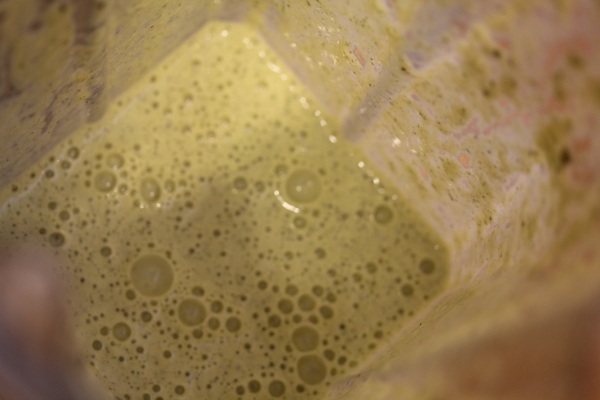 Place all ingredients into a high speed blender and blend to a smooth, creamy texture. Covers a 4-6 serving salad. 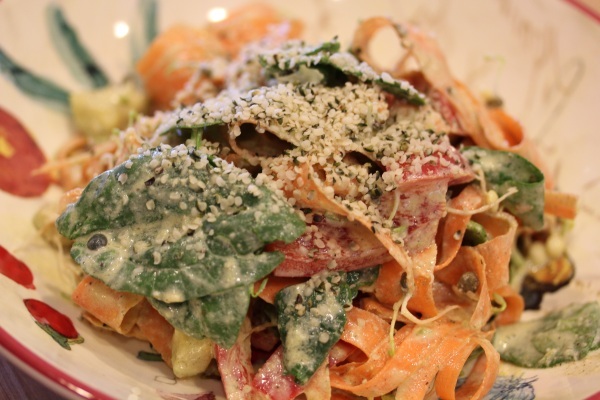 The creamy dressing coats the salad nicely, like a tangy orange ranch dressing. I’m not at all sick of salads in this weather, they actually seem to be all that appeal to me. 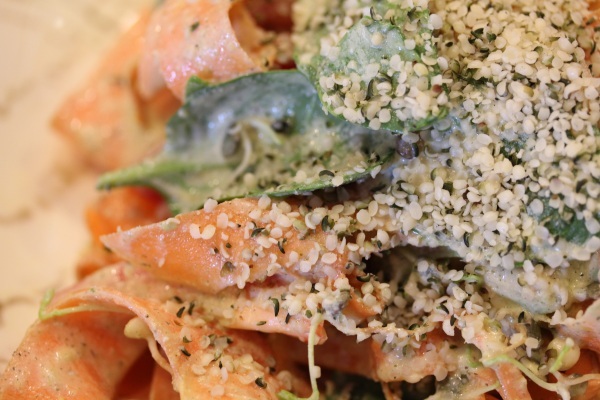 And I love dumping more hemp seeds over them for more crunch, protein and texture variation. 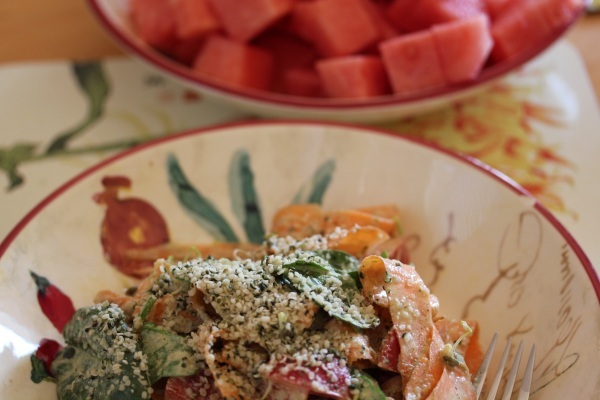 Dinner screamed hot weather with a huge plate of chilled watermelon chunks for hubby and I to share for dessert. What foods do you crave in insanely hot weather? That Dressing looks yummy! I make almost the same on except with tahini. Ah… and watermelon = fabulous! Yum, it would probably be great with tahini too! Oh the dressing is perfect sounding! 102F??!! omg it was *cool* here today. Started off nice, like 75F and sunny, turned cloudy, windy, and maybe 62 and damp and icky. That watermelon is perfect. That last few i bought were mini ones from Ralphs and there were barely, well, one was mealy and not good…the other, just so-so. Is that a groc store melon or a famers market? tj’s? do tell! Weird weather for you, sounds like ours earlier this month. Hope it warms up soon! That watermelon came from Costco from a grower in Bakersfield and for $4.50, it was awesome! I always try to grab the largest ones I can find with huge white spots because that supposedly means they’ve been ripened longer on the vine. I love the combo of orange and ginger your dinner looks fabulous, nothing more refreshing than watermelon in the summer! That dressing looks so refreshing! Perfect for the heat! I’m with you on lots of fruit and veggies when it’s hot. I just can’t stand heating up the kitchen and body just wants hydration. Yikes– awful time for the AC to go out!! 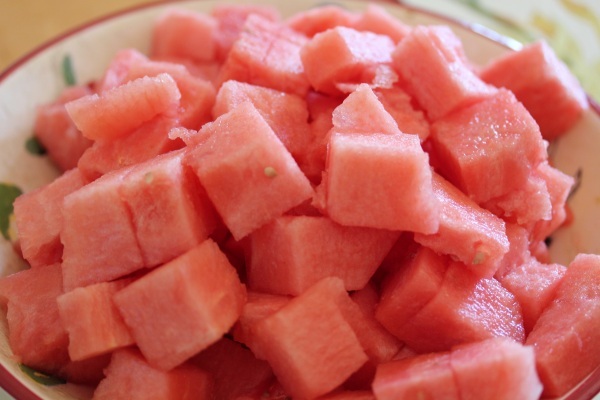 I crave watermelon in hot weather too– so refreshing! gosh christine, you cat is so beautiful! i crave cold smoothies!